Today was the day I would fire my partner. The time for talking, threatening, pleading, and procrastinating was past. Even after six months of his erratic behavior, it was difficult for me to address my partner’s poor performance. He was a member of Mensa, the IQ society for persons in the top two percent of intelligence. Surely he knew the score. Did I have to point it out? What made this situation stickier was he also had been my mentor. When I summoned my nerve to discuss his performance, I indicated to him that, without change on his part, something vaguely unpleasant lay ahead. Yet he sensed my words were empty threats. When it came to holding people accountable, history showed my bark was worse than my bite. In my 15 years as a manager, working with more than 200 colleagues, I had fired just three people. As my partner’s excuses piled up, I suspected everyone in my firm believed one of three things: I didn’t care; I was clueless about this performance; or I was scared to act. I realized if I failed to fire my partner, my colleagues would be correct in thinking they could not count on me. 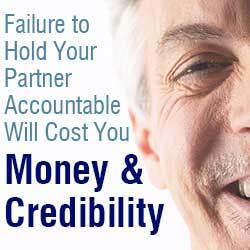 My failure to hold my partner account­able had cost me time and money. Now it was costing me credibility. By not tackling performance issues head-on, I inadvertently changed our high-performing culture to one where excuses, double stan­dards, and an attitude of “that’s close enough” were the norm. So the day came when I called the meeting with my former mentor. I delivered the news that, as of today, we were finished as partners. It didn’t need to end this way. As leaders, we get the behavior we tolerate. When it comes to holding people accountable, we are often our own worst enemy. We accept excuses that sound logical even when we know better. We allow emotions to cloud our decision making. We delay having a conversation with an underperformer because it’s easier to avoid a difficult conversation than having one. Instead of practicing accountability, we practice avoidance. Clear expectations must be established. I assumed my part­ner and I had the same definition of success. We didn’t. My failure to set clear expectations meant that evaluating his performance was subjective. When your purpose, expec­tations, and rewards are crystal clear, your employees will embrace accountability as a support system for winners. The opposite is also true: If you are not clear about everything—vision, values, objectives, strategy, rewards, and, yes, penalties—the likelihood of achieving your vision is slim. Bad news does not improve with age. I avoided discussing my partner’s performance issues for too long because I assumed his performance would improve. Now I know that as soon as you see a problem, it’s best to address it immediately. Failure to speak frankly with the person about his or her performance means nothing will change. It’s not personal. Yes, you’re talking with a person, but leave emotions and opinions behind. Stick to the facts, set a plan to get performance back on track, and communicate specific consequences for underperformance. If underperformers require termination, do it professionally and allow them their dignity. The day after we separated, my partner called to say he appreciated the straightforward, professional, and respectful manner in which I had handled our final meeting. Even though these comments reflected well on his gracious acceptance of tough news, they reminded me that everyone feels better when accountability issues are addressed. Greg Bustin is a business and leadership consultant, and CEO of Bustin & Co., who has dedicated his career to working with CEOs and the leadership teams of hundreds of companies in a range of industries. He understands how high-performing companies successfully build and sustain a culture of purpose, trust and fulfillment. 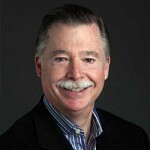 He writes a monthly bulletin sent to more than 6,000 executives globally, and his perspective on leadership has appeared in the Wall Street Journal, Inc., Investor’s Business Daily, Newsday, Forbes, the Dallas Morning News, Fran Tarkenton’s SmallBizClub, and other major publications. He also is the author of four books, including his newest, Accountability: The Key to Driving a High-Performance Culture (McGraw-Hill), which was selected as one of the best business books of 2014 by Soundview.